We used to stock Crystal Red Grade A’s a long time ago but demand just wasn’t really there. Since then, the hobby has come on some what and now I believe the demand is beginning to grow and hobbyists are prepared to invest in quality live stock. It’s always exciting to see shrimp arrive, packed in their little bags all clinging onto the filter floss, waiting for their new home. This is a Grade A CRS. If you invest in this type of shrimp from us this is what you will receive. You see how the white is fairly solid but not quite there. But don’t despair if you are looking to improve the white banding, then you can do so with Genchem White Pellet. We’ve been using this product on our CRS for 2 months now and the improvement is noticeable. So are there any special requirements of CRS? Not especially but you have to make sure you treat them with a bit of caution. They are more sensitive than other shrimp because their gene pool is so much smaller than other shrimp such as Cherry or Tiger Shrimp. However we treat all of our shrimp the same way so don’t let it deter you. We feed them a broad range of foods and use the Genchem range of shrimp conditioners to get the best out of them. So if you’re thinking, maybe I should treat yourself today as you won’t regret it.You can see our CRS Grade A by clicking on this link. If you’re looking for more information on grading and shrimp in general, I recommend having a look at Plantet Inverts. 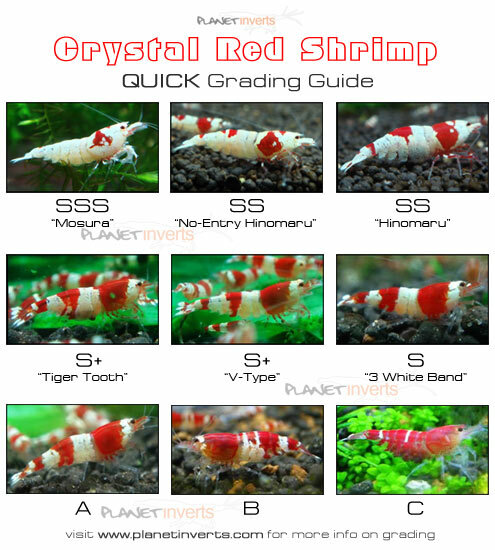 If you’re passionate about Crystal Red Shrimp (CRS) like us then you know all about banding and how the clearer the white banding is on the shrimp, and the fuller it is, the higher grade your CRS. Genetics play an important role within CRS and the better genes the parents have the higher the chance of having CRS with quality banding. But if your CRS doesn’t look quite as good as you hoped it to, is there anything that can be done? Like all Genchem products they have more than one function and in this case by feeding Genchem White Pellet, it will help improve moulting.So this double fold effect is a win win. 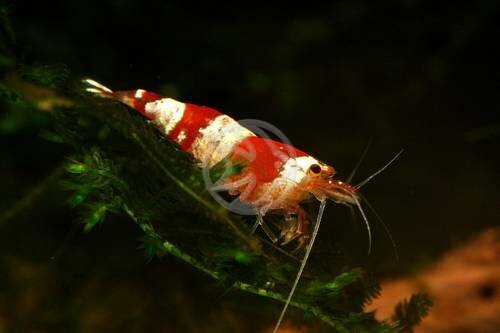 Your shrimps will improve in colour and the moulting is easier.